Brain injuries often cause long-term impairment, with head trauma being one of the most common causes of death among young people. Brain injury victims often sustain loss of physical and mental function and require extensive medical treatment and support. Brain injury claims are complex matters due to the serious and unpredictable nature of the injury. That is why having a strong and experienced legal team in your corner can make all the difference. When it comes to brain injuries, medical diagnoses are often imprecise, which makes it difficult to assess future care costs and determine the compensation the victim is entitled to. Having the necessary compensation is extremely important for the victims and their families as they adjust to their condition. Our dedicated experts have decades of experience and have successfully represented brain injury victims from all over Ontario. If you or a loved one have sustained a traumatic brain injury, contact us for a free consultation to find out why having an experienced personal injury expert can make a drastic difference for you and your family. We have recovered millions of dollars in compensation for brain injury victims and work with medical experts who will properly assess and treat your injuries. Accidents that result in spinal cord injuries often leave the victim with quadriplegia or paraplegia, which is devastating for the victims and their families. The lives of spinal cord injury victims are greatly changed as a result of such an accident; having a legal team that will fight for your rights and get you the maximum compensation can make all the difference. Unfortunately, many victims will never fully recover from their spinal cord injuries and will have to make drastic changes to their day-to-day life and lifestyle in general. The costs for such changes are often overwhelming for victims and their families. Mounting healthcare and personal expenses required by victims for the rest of their lives puts tremendous stress on the victims and their families. The experts at MPC Law have decades of experience, and with millions of dollars recovered for spinal cord injury victims, come highly recommended by people from all over Ontario. 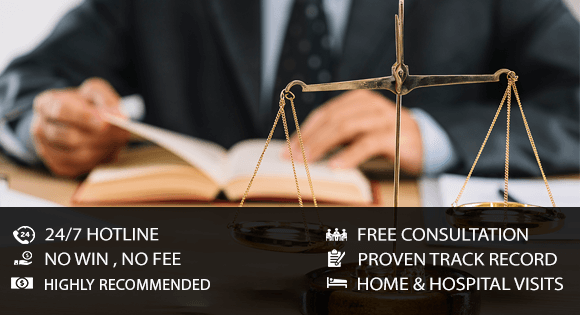 Our legal team will fight for your rights and get you the maximum compensation that you are entitled to. We never back down from a court battle. However, we are often able to reach a favourable settlement within a reasonable period of time.